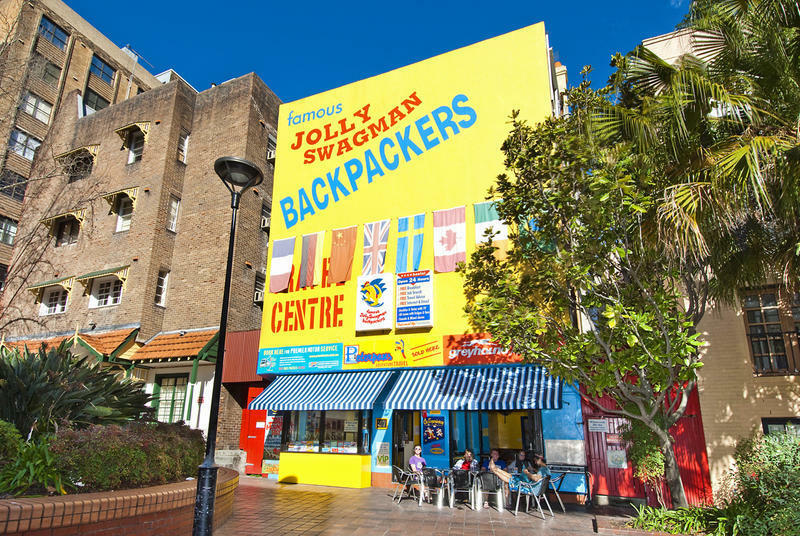 Located in a quiet, leafy street in Potts Point, we're just minutes' walk to the heart of Sydney's Backpacker Mecca - Kings Cross. We're proud to offer our guests a safe, secure environment with our 24 hour reception. Lockers available in dorms (excluding three-bed dorms). 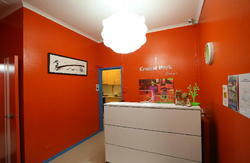 From Sydney International or Domestic Airport, call on arrival. Free airport pickup is available from 5am to 8.30pm. Please note that you must book a minimum of two nights to receive the free pickup. Please check your confirmation email for contact information. Take the train from platform 24 to Kings Cross (only seven minutes' journey). From here, take the 'Victoria Street' exit, turn down Victoria Street and walk approximately 50 meters. Turn right onto Orwell Street and you'll see our big bright yellow building (see picture) on the right.